What’s the Purpose of Revelation and Prophethood? 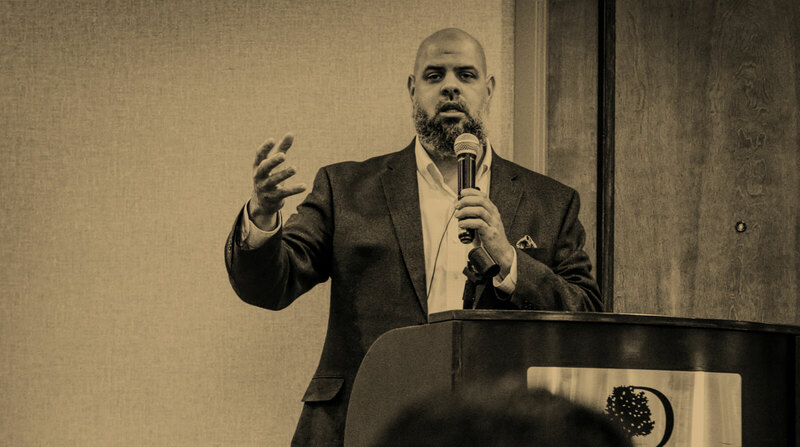 The following are the notes and audio to a khutbah I delivered at the University of Pennsylvania on March 9th, 2012. What’s the purpose of Revelation? Of prophecy? Of the Prophet صلى الله عليه وسلم in our lives? If the Prophet صلى الله عليه وسلم is Imam of the Messengers, then are we treating him as our Imam as well? Imam – the one who is in front and leading us. Submission – it’s what we do for our own selves. Not whether or not others take us seriously. Don’t be hasty. Though we were created hasty, don’t be hasty. There’s a difference between how we are created and how Allah wants us to be. If you allow it, the Qur’an will move you. It will lift your spirits, it will over-awe you, it will terrify you, it will move you to tears. We all know the hadith: The world [al-Dunya] is a prison for the believer and a paradise for the ingrate [kafir]/روى أبو هريرة أن النبي صلى الله عليه وسلم قال الدنيا سجن المؤمن وجنة الكافر. Most folks stop at this and say, “there’s nothing we can do or enjoy from this life.” But the nature of all prisons is that the prisoners want to break out; the nature of Paradise is that no one wants to leave. So, we strive to break out of this prison, not to sit glumly by while not being tricked into thinking we’re staying here in this fake paradise forever.